We arrived home late Monday evening, safe and sound and on time. Thank you for your prayers of support and your interest in these postings. 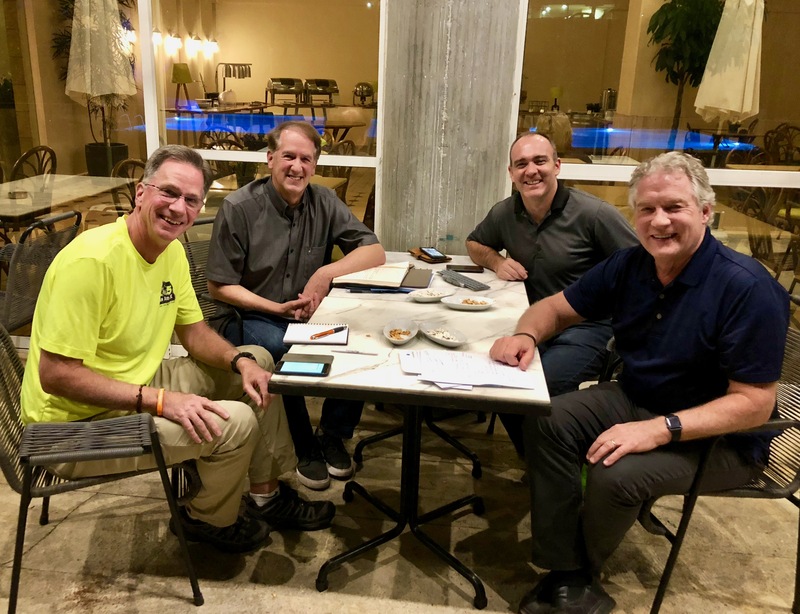 Our last couple days in Beirut included some sightseeing and ongoing debriefing (our final debrief discussion in Lebanon occurred at our hotel, above; we three Lake Grovers will meet again this Thursday to continue). We will report out to church leadership later this month, and will look for opportunities to share with the congregation at large in various ways, probably starting this Sunday. We are, after all, preaching through Jonah, and Lebanese tradition says Jonah was spat out by the giant fish on the beach of Jieh, Lebanon, between Beirut and Sidon. Mark, Alan and I drove right past that beach just a few days ago. There is no doubt that the rest of the world needs to come alongside heroic countries like Lebanon, Jordan, and Turkey, which are bearing more than their fair share of the refugees. Our deliberations about a possible ongoing partnership center on CHILDREN, trying to support programs that build resiliency and prepare them to either return home or build a new home in new countries. Please pray with us that we will clearly discern God's guidance, as He channels His love to millions who are currently displaced and in a desperate situation - in Lebanon and around the world. What a privilege that we get to partner with our Lord, Who transforms these millions one life at a time.